Growing up I was an avid reader. I have thankfully rediscovered my love of books again, which means finding a balance between study and leisurely reading is a bit of a challenge, but is well worth the effort! Hunger Games fans should check this one out! 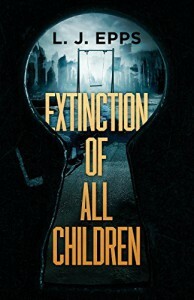 Extinction Of All Children by L.J. Epps is a dystopian, young adult novel set in a place called Craigluy in the year 2080. 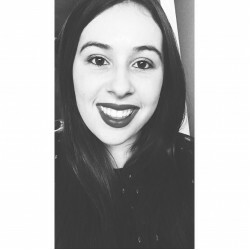 The reader follows the journey of Emma Whisperer, an 18 year old who was the last child to be born in her territory. Yes babies were still born after Emma, however they are taken away from their parents. As a reader, we want to find out what happens to these children. I liked that there was always something happening in this novel; I never got bored. Certain parts of this book are pretty grim to read but that's what makes it so interesting "I could have you all sterilised - but that would take away my fun in watching you suffer." I thoroughly enjoyed reading this book because the underlying idea of the novel really interested me - the extinction of children. When I got to the ending I didn't realise that there was going to be a second book so initially I was super disappointed because there is a lot that is left uncovered so thank goodness there will be a second one that continues the adventure - I can't wait to read it! I'd definitely recommend this book to fans of dystopian novels and anyone looking for a fairly quick read. I received Extinction Of All Children via NetGalley in exchange for an honest review.